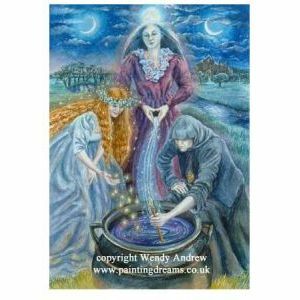 "Brigid-Boann-Cerridwen - This Triple Goddess is 'inspired creation.' 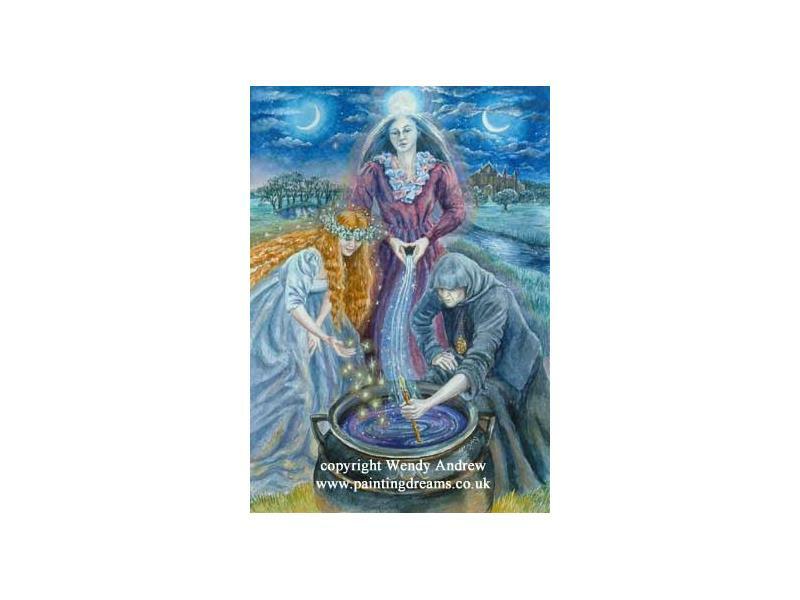 Brigid, Goddess of fire, lady of fertility initiates creativity. The Boann, mother of all, Goddess of the Boyne (Irish river), issues forth the life giving waters. Cerridwen, the wise old Crone, Goddess of the cauldron of life. She stirs her magic into the brew. aiden-Mother-Crone. The complete cycle of life. This greeting card is blank inside for your message.